Deeply ingrained in tourism, Travel Consortium India is a Destination Management Company specialized in every aspect of travel which offers the exciting range of tour packages of India and its subcontinent. The company has its own ground service offices network in major destinations in India branch offices in the Sri Lanka, Nepal, Bhutan, Maldives, Myanmar and Bangaladesh. Our team provides the round the clock service with the priority of customer satisfaction. 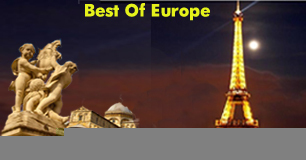 Travel Consortium India focuses on all Individual group traveler. Our experienced and well trained staff are masters in designing the Tailor Made Leisure, Cultural, Historical, Wild Life, Adventures, Charters and Cruises Tours. Travel Consortium India provides a wide ranges of experiences, the Wi-Fi-equipped modern transport fleet, and selected experienced deep knowledgeable guides from the panel at each destination to our each clients. The name Golden Triangle is born by one of Asia's two main opium-producing areas. 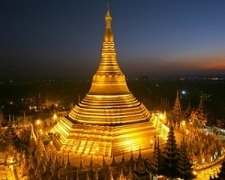 It is an area that overlaps the mountains of three countries of Southeast Asia: Myanmar, Laos and Thailand. 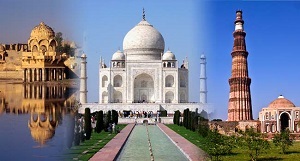 In India Golden Triangle Tour is the most popular tourist circuit in India. This is an incredible tour which is covering Delhi (The capital of India), Agra (Beautiful Taj Mahal) and Jaipur (The famous pink city). Golden Triangle Tour program comprises displays the richness of India’s richness of heritage, culture, grandeur, glory & history. Here we are combining this beautiful tour with more famous tourist places of India like Varanasi, Khajuraho, Lucknow, Ranthambhore, Chambal Safari, Jodhpur , Udaipur and Mumbai and offering you the Golden Triangle Special Toursrs which will give you a great blend of mainstream and offbeat, in one of India’s most colorful locations. Rajasthan known as the “Land of Rajput Kings” is India's largest state by area. When we think about Rajasthan, the picture of people dressed in vibrantly colored costumes, riding camels through the vast stretches of sand seem to invite you to the royal land of kings. There are so many vibrant and colourful festivals held across the state that give visitors to Rajasthan a reason to celebrate almost throughout the year. 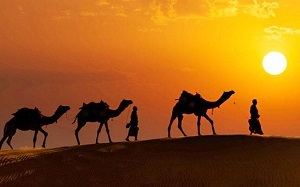 A glittering jewel of India, Rajasthan has something for everyone so whether you are planning an adventurous holiday hoping for a rendezvous with tigers or a quiet sojourn gazing at the beauty of the golden Sand-Dunes; or to experience the many nuances of royalty - Rajasthan is the place for you. The main attraction for travellers is the vast Thar Desert and one of the oldest mountain ranges in the world, the Aravallis. The Rajput heritage which is apparent in the forts, temples and palaces established by the Rajput Kings. In Rajasthan the places of interest are Bharatpur (Keoladeo bird sanctuary), Jaipur (The Pink City), Ranthambhore, Ajmer, Pushkar, Mount Abu, Alwar (Sariska tiger sanctuary), Bikaner, Jaisalmer, Manwar, Jodhpur, Ranakpur, Udaipur, Chittorgarh, Bundi and Kota. 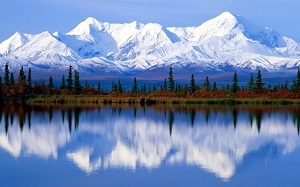 Himalayan Journey of India is based in the foothills of the Himalayan ranges at the beautiful tourist destinations and is reservoir of immense amount of ‘Him’ in the forms of Ice, Fresh and Underground Water which flows through the land of Himalayas. It is also the land of Gods and Goddess, thus called “Dev-Bhoomi”. It is the place of diverse cultures, land of fare and festivals, land of peace and joy, a place where you can see nature at its best. Earlier some of the places was restricted only to a limited movement of pilgrims to a few spiritual destinations in around the hills. Only when the British established their chain of hill stations did tourism receive recognition in the State. There are limitless possibilities for trekking, mountaineering with amazing life time experience as Indian Himalaya has various trekking routes among them Markha Valley Trekking, Manali Ladakh Trekking , Ladakh Zanskar Trekking , Nubra Valley Trekking , Markha Valley & Rupshu Trekking , Ladakh Frozen Lake Trekking, India Tsomoiri Lake Trekking, Ladakh Zanaskar trekking & Sikkim Darjeeling trekking main trekking in India. The Garhwal and Kumaon regions of Uttaranchal are also popular destinations for trekkers, though Chamba and Manali in Himachal Pradesh, and Ladakh and Zanskar in Jammu and Kashmir, have interesting trekking routes as well. There are hundreds of India wildlife parks and sanctuaries which are spread across the country offer a fascinating diversity of terrain, which are houses of large number of wild rare and giant animal species. These parks are all popular with visitors, and offer a diverse variety of flora and fauna. One can witness hundreds of diverse genus of creatures encompassing Tiger, Leopard, Elephant, Bear, Wild Boar, Toddy Cat, Jackal, Langur, Ratel and many more in their natural habitat. so it's a good idea to think about the particular types of wildlife you want to see and plan your trip accordingly. 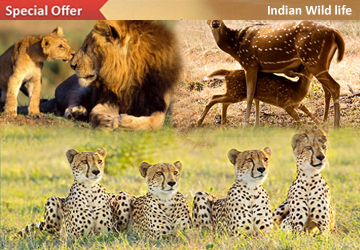 Our India Wildlife Tours offers unforgettable adventure tours and picturesque landscape so that you can indulge the maximum time of tour in the famous national parks of India. South India is a great way to explore the diverse beauty of the Southern part of the country. It is a linguistic-cultural region of India that covers the four Indian states of Andhra Pradesh, Karnataka, Kerala and Tamil Nadu and the Union Territory of Pondicherry. This part of India has enormous beaches, waterfalls, forests, lakes, backwaters, Wild Life Sanctuary etc. Tamilnadu tourism industry, centered on Hindu temples, wild life sanctuaries, hill stations and waterfalls is the second largest in India. Karnataka has contributed significantly to both forms of Indian classical music, the Carnatic (Karnataka Music) and Hindustani traditions. 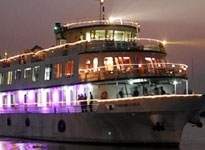 Tourists get to see scenic parks, historical forts and palaces, calm backwaters and modern technological hubs. Kerala, ‘The God’s Own Country’, is state of calm waters, adventurous rides, rich culture and scenic beauty of Kerala fetches the attention of umpteen tourists. It rose from the sea when Parasurama, the sixth incarnation of Lord Vishnu, threw his axe in the waters. Blessed with lush hills and sandy beaches. 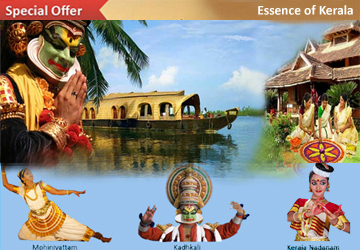 Kerala has some or the other recreational activities to offer to all its visitors. The thick forests with coconut trees are a major attraction for tourists to this heavenly piece of land. The local culture is something that everyone should indulge in at least once. Another reason why the state is such a popular tourist destination is its famed Ayurvedic massage parlours availing an Ayurvedic massage or staying in a houseboat on the backwaters or lavish lake or beachside stay will make the memories created together, everlasting. The Buddhist Circuits are the Places of all High Significance Holy Sites of Buddhism where Lord Buddha was born, attained Enlightenment, preached first Sermon and reached Nirvana. As part of its drive towards austerity, the only kind of art and architecture that it supported were Stupas (stone cased moulds that commemorated relics of Budha), Chaityas (prayer halls) and Viharas (cells for the monks). Buddhism travelled to Sri Lanka, Nepal, Bhutan, Tibet and the countries of South East Asia, even to far-flung Central Asia, China and Japan, under the umbrella of royal patronage and the dedication of its vast community of monks, teachers and artists. In India, Buddhist Circuit is in Bodhgaya, Vaishali and Rajgir in Bihar, Sarnath in Varanasi, Shravasti and Kushinagar in Uttar Pradesh. All these are the main pilgrimage centers for Buddhism in India. Visitors can travel through this Buddhist Circuit today, to savor the splendid beauty and great appeal of Buddhism. Do you think that the beautiful journey of your marriage should begin from a beautiful destination? When something is meant to remain in the memory forever, every effort must be made to make it the best moment of your life. Immerse yourself in a pool of adventure, culture and luxury as you celebrate your matrimony on a honeymoon trip. It keeps you bringing to the days when even the honking noise of a city seems music to you and a calm place is just a sublime bliss. No country gives you options of more places and ways to spend your first few days together, than India. We are dedicated in providing excellent travel experiences by giving you an authentic feel of all kinds of honeymoon destinations. 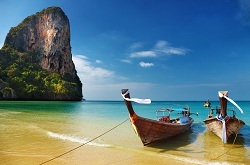 Along its 7000 km of coastline, India boasts of a number of beautiful beaches. The tranquil environment with abundant greenery around is just perfect to relax and refresh the drained mind and body. Lie on the smooth sandy beaches and soak the warmth of the sun or simply take a quiet walk barefooted on these beaches. The calming effect will easily penetrate deep into your body. The vast stretches of sea water have a unique ability to carry away all your worries and heartaches along with its waves. You can also watch the sun rise and set far in the horizon and appreciate the beauty that is reflected as a reflection in the water, also can swim along with the waves of the ocean water or dive deep into the water to discover a magnificent and colourful marine world. Also, catch the good waves and duckdive the bigger ones while surfing. Cruising in the ocean water is for those who wish to explore the vastness and deepness of the water body without getting wet. In brief the India Beaches will provide every kind thing to joy, from isolation and opportunity for introspection to action and fun. A Luxury Train journey is one that remains with you long after the experience itself. The Indian Railways provides a wide range of Luxury Tourist Train in India. There are four tourist trains and three categories of superfast passenger train services availed 1. Palace on Wheels 2. Royal Rajasthan on Wheels 3. Deccan Odyssey and 4. 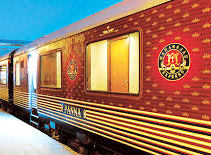 The Maharaja’s Express luxury trains. The Luxury Trains are the most unforgettable way to experience the grandeur of the princely Indian subcontinent. Offering intricately designed interiors that bring back the nostalgia of the era of royalty and grace of Indian culture and heritage. It personifies lavish travel, comfort, grace and splendour, bringing to you a captivating experience in the land of the Incredible India. India, once ruled by varied dynasties has so far carried the enduring mark of each of them on its culture, food and historic landscape. Discover the adventurous escapades to the wilds of India, visit to the magical destinations, perceive the intriguing sagas of forts and palaces, glimpse the art and sculpture of the temple, on to the spiritual experiences at religious places and see the different wonder of the India which makes more special to this land than any other country. A little bird came and told us that you have got engaged. Woohoo! It’s time for party sharty and celebrations. But why do I see sweat trickling down from your face? Feeling worried about where and how to go about doing wedding shopping? Well, India is a place where there is no shortage of bridal stores (just as there is no shortage of brides and grooms). And the best place for shopping in India are also quite many. Only thing you need to do is to go India for your wedding shopping and you will get all you are looking for in order and you can hop around to best places to go wedding shopping. So. If we talk about Indian Wedding, it is the most famous wedding in whole world. The wedding in India Family is always the most colourful and interesting occasion of any family. It is 03 to 05 days occasion and these all days are full of different rituals and entertaintment. On each ritual the whole families wear the different selected attires including the Bride & Groom. India is the biggest manufacturing of these selected wedding dresses and in other countries of the world these are 4 to 5 time expensive than Indian rates hence our Wedding Shopping Tours helps you for not only providing the services of your shopping in selected cities in India but also help you to make your Dream Wedding in your budget and give you the chance to visit the different part of India without any extra cost and to explore Indian market. In these tours we guide you the selected & suitable places for your shopping in places like Delhi, Agra, Jaipur, Varanasi, Mumbai, Kolkatta, Bengalore, Chennai, Kanchipuram, Cochin, Trisur, Calicut, etc. 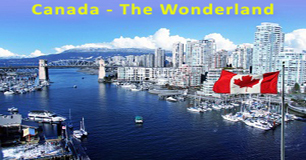 While planning a trip, traveler must think that if they could add something special and different into their tour for some short duration which could make tour more special and remembering so here we have some very small special add-on tour of all over India which you can add-on one or two to your tour of choice, or string together as many as you wish to create a customised holiday as below. It is the region of the central part of India which includes the states Madhya Pradesh and Chhattisgarh and some part of Uttar Pradesh. 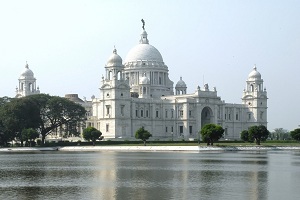 It is situated at the heart of the India. The main cities in this region are Khajuraho, Orchha, Bhopal, Indore, Ujjain, Gwalior, Chitrakoot, Ilahabad, Varanasi & Lucknow. This part of India is famous for its temples, historical heritage, ancient citie etc. 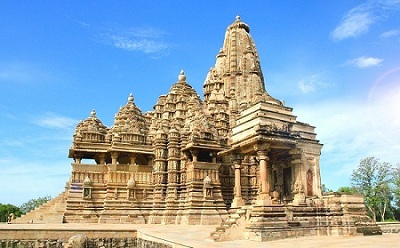 Some of the famous places in this region are Khajuraho temples, Orchha Mahal, Gwalior fort, Sanchi stupa in Sanchi, etc. 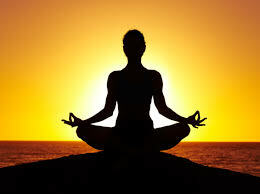 There are a lot of ayurvedic and yoga centres in this region, which brings in tourist for some peace and meditation. 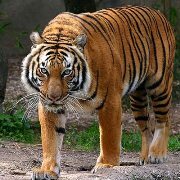 This region is also the houses of Wild Life Sanctuaries like Bandhavgarh National Park, Kanha National Park, Satpura National Park, Sanjay National Park, Madhav National Park, Van Vihar National Park, Mandla Plant Fossils National Park, Panna National Park, Pench National Park etc all are situated in this region. In the twelfth century, the explorer Marco Polo wrote that Sri Lanka was the finest island in the whole world while successive waves of Indian, Arab and European traders and adventurers flocked to its palm-fringed shores, attracted by reports of rare spices, precious stones and magnificent elephants. It has more than 2,550 years of continuous written history by means of the Mahawansha, and was also mentioned in several ancient Indian texts. One of the most famous is the Ramayana, in which the island, which was referred to as Lanka, was the island fortress of the king Ravana. It is not a mere tropical isle known for sun, sea and sands, although it has all this in plenty. In fact the island has over 1400km of sulkiness beach. The warm waters of the Indian ocean that offers attractions for surfing, undersea diving, the fascination of coral reefs, and also for the more adventurous, the chance of exploring the wrecks from Portuguese galleons to British warships of World War 2. But its attractions are not limited to those of the sea and sunny beaches fringed by coconut palms. Despite its small size Sri Lanka boasts of one of the highest rates of biological endemism in the world whether in plants or animals and is included among the top five biodiversity hotspots in the world. Of the ninety-one species of mammals found in Sri Lanka Asian elephants, sloth bear, leopards, sambar and wild buffaloes engages the majority of the attention of wildlife enthusiast. Yet the rarest mammals of Sri Lanka are the red slender Loris, Toque Macaque, and Purple-faced Langur, who according to IUCN clarifications are endangered due to habitat loss. 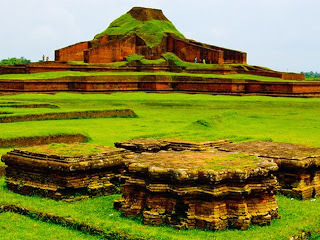 The culture of Bangladesh refers to the way of life of the people of Bangladesh. The land, the rivers, and the lives of the Bengali people formed a rich heritage with marked differences from neighbouring regions. It has evolved over the centuries and encompasses the cultural diversity of several social groups of Bangladesh. Bangladesh is blessed with deep, rich and fertile soil, a gift from the three major rivers that form the deltaic plain upon which it sits. The Ganges, Brahmaputra and Meghna Rivers all wend their way down from the Himalayas, carrying nutrients to replenish Bangladesh’s fields.